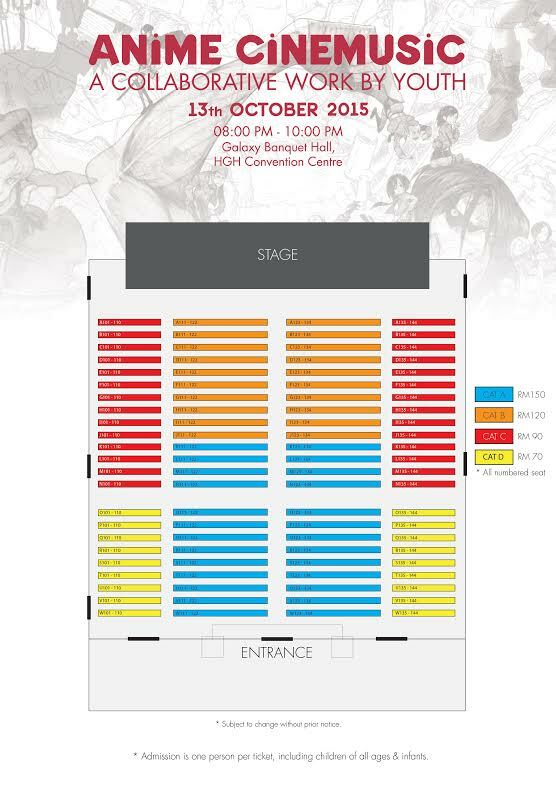 Anime Cinemusic Concert in Malaysia: Get Your Nerds On! If you know me, you will definitely know that I am a huge anime fan. I might not look like it (a lot of people don't believe me when I say I love anime) but I have a list of anime I want to watch every new seasons of the year! Yes, anime in Japan are aired based on Winter, Spring, Summer, Autumn rotation and as an anime lover I always make sure my watching list is up to date. I did mentioned about this obsession of mine in a lot of my old posts. Most recently I talked about how much I wanted to go to the anime festival especially AnimeJapan2016. As an anime lover, loving the soundtracks from anime is a must! Honestly speaking, 90% of songs in my phone playlists are either something Korean or Japanese. There are a lot of amazing opening and ending songs in anime! And then, there is also Ghibli Studio. Sigh. How can I not love Ghibli Studio's works? I've watched majority of their work; maybe almost all of them. Their soundtrack? Each and every movies they made have amazing soundtrack and it is a well known fact that Joe Hisaishi music are just as amazing as the Ghibli work itself. I love Howl (he's so hot even for an anime character) and Castle In The Sky (Laputa) soundtrack is freaking sad so I usually get emotional when I listen to it. If you're wondering why I'm suddenly raving about this, it's because I'm so stoked about the upcoming Anime Cinemusic Concert that will be held here this October! Anime Cinemusic is a production by Wicked Factory Entertainment, and this concert is a collaborative work by the youth. The concert will be conducted by Mr. Chan Ling Chee and the member of the orchestra are largely made up of young and talented musicians all over Malaysia. I'm so happy looking at the list of the songs especially the Ghibli's selections! Super ecstatic about this. Made me want to go and re-watch the films once again; although I can't count on how many times I've watched them anymore. The tickets pricing are down below and you can get them online at redtix.airasia.com or offline at either Rock Corner outlets, Victoria Music outlets or Artitst Gallery. The concert will be held in Galaxy Banquet Hall, HGH Convention Center, 13th October at 8PM until 10PM. I will definitely be there so make sure you guys won't miss out on it! 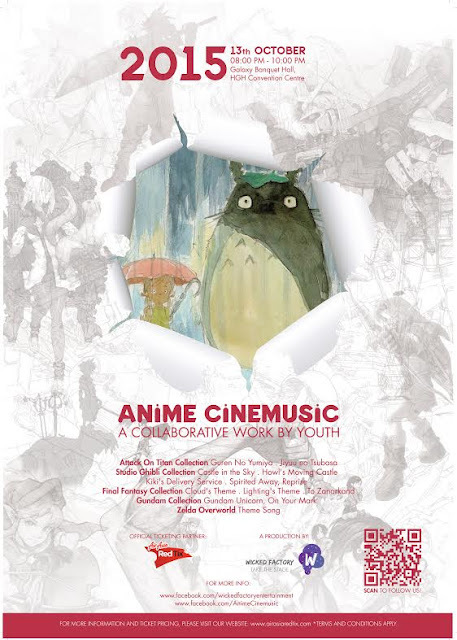 For more information and updates, you can check out Anime Cinemusic Facebook Page. Watson Really Syok: Redeem Your Points! Strip! Exposing Dirty Little Secrets. My Top 5 Wishlist from Althea Korea!